Our International Office offers an orientation week twice a year (beginning of March, & Mid-September – before classes begin) for all international students. During these exciting days we will be at your disposal and give you insight into both our university and your new home Coburg. International students who are new to Germany first need to settle a couple of important bureaucratic matters. The International Office will gladly help you register with the city of Coburg and apply for a residence permit. take part in various fun activities. Details concerning this program will be sent to the incoming students by email before the start of the semester. If you have found a room or apartment in Coburg you will need to register with the city’s registration office within one week. The registration, or change of address notification, with the registration office is mandatory for everyone who moves into an apartment or moves apartment within Germany. Once you have successfully registered you will receive a registration document. This provides confirmation that you are registered at the address indicated. You need the registration document on various occasions, such as when opening a bank account or applying for residence permit. Students from the European Union, the European Economic Area, and Switzerland do not need a residence permit. They receive a document confirming their right of residence when they register with the registration office. In some cases they will also need to prove that they have health insurance and that they can finance their studies. Anyone who does not come from these countries will need to register with the Foreigners' Authority and apply for a residence permit. The residence permit is provided for a specific purpose, similar to a visa. International students need a residence permit to be allowed to study, and will only be given one if they have already been admitted to the university. As of 1 September 2011, non-EU-citizens receive their residence permit (eAT) in form of a chip card which includes biometric data. Applications and extensions for residence permit can be completed at the immigration office in Coburg. As part of our welcome program for international students, we also organize German language courses for our incoming students. At the beginning of the orientation course you will take a short placement test so that we can determine which group is best for you. You will then receive special training according to your abilities. During the semester you are also encouraged to take German classes at our "Studienkolleg" (preparatory college for foreign students), which is located right on campus. Every autumn Coburg University receives students from all over the world. 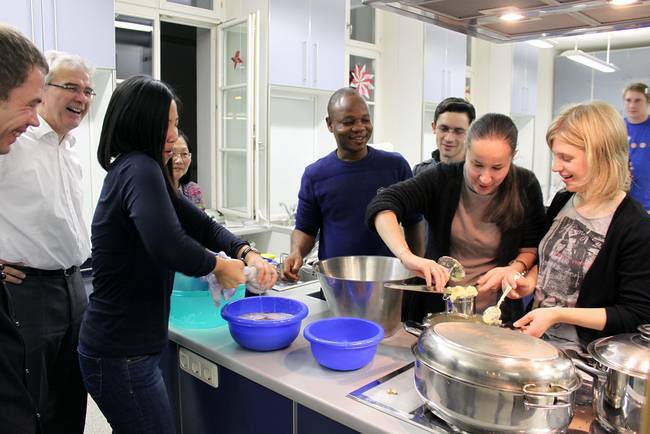 In cooperation with the city marketing, the International Office connects international students with hosting families and students from Coburg in order to ease their start into their new home and their life in Coburg. GastFREUNDschaft is a free, voluntary project involving a network of local residents or students who meet international students from time to time to have joint meals, „Kaffee-und-Kuchen“ or short trips in the area. The purpose is to give students an insight into the way of life here in Upper Franconia and help them to meet people outside the campus and experience the local culture. Students also share their own culture with their hosts. The participants negotiate on their own how often they meet and what to do. The initiators will organize some common events. A host family visit will be an enriching experience while you are in Coburg. It is a unique opportunity to get away from the campus and meet local residents/students to find out more about the everyday life of this country by sharing it for a short time. GastFREUNDschaft is entirely free and voluntary! 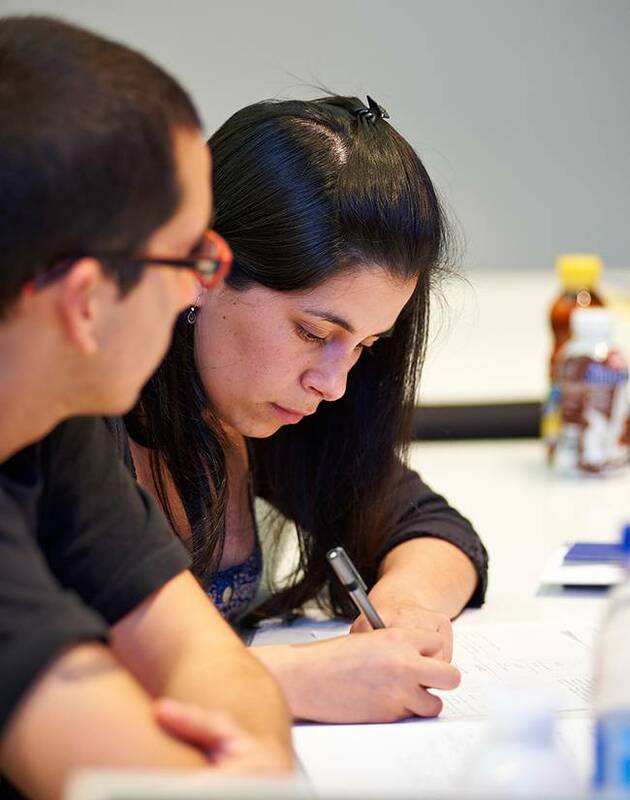 While most hosts speak English, this experience will also give you a chance to practice your German! If you want to improve your language skills and get to know new people, then tandem language learning is just the thing for you. This is when two partners who want to learn each other's native language get together. You don't have to analyze grammar or fill in the blanks – you can just have a chat. One hour in one language before switching to the other, to allow both tandem partners to benefit. You can arrange to cook together, go to a café or a walk through the city. This lets you learn another language and you get to know other people and learn about a country's culture. Each semester the International Office organizes events for all students to explore the city and the region. Bowling and ice skating as well as the traditional Christmas markets are some of our highlights to our students. In addition, these events are a great opportunity to get to know your fellow students. Whether you need assistance in finding the most adequate German course or the most recommended restaurant in town, the International Office provides advice and support for international students and resolves organizational issues relating to their studies. The International Office also regularly offer seminars and workshops on important issues; e.g. “Financial support for international students”.